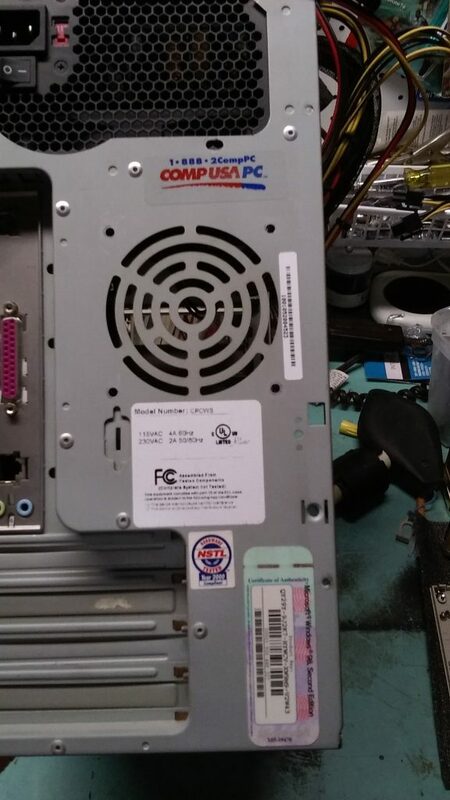 Back of the HAL-9000, showing the CompUSA logo and Windows 98 sticker. Published inHAL-9000: 1998 – 2017. RIP.